Taking a deposition in Spain is a relatively straightforward and easy process as Spain is a party to the Hague Evidence Convention. 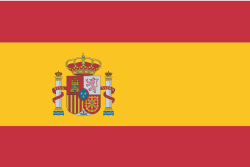 No prior permission is required in Spain to take depositions of willing witnesses. To speed up your deposition process, make sure you review our Checklist for U.S. Depositions in Spain. Planet Depos has teams living on the ground throughout Europe, offering you 24/7 assistance for all of your deposition needs in Spain and beyond. We have been covering depositions in Spain for over 15 years, earning us the reputation of one of the leading experts in the scheduling process, travel, and document assistance there. Depositions in Spain are easy and straightforward if you follow the Spain Deposition Checklist. Planet Depos offers cost-effective and reliable realtime, transcription, and related services for arbitrations in Spain. Before you plan your trip to Spain, make sure to check out our travel tips from our experts on the ground.